At Summerhill Pools we feel that a well-planned outdoor living area is a natural extension of the indoor living area. We know that successful design involves creative ideas, knowledge, and experience. We can plan and construct an environment that is visually stimulating and compliments elements of the surrounding architecture as well as suits your lifestyle and budget. We offer complete residential design services for your outdoor area, using a 3-D design program and professional designer. Our talented designers can re-invent your living space with such things as: Beautiful swimming pools and spa retreats Solid roof structures, open beam patio covers, and pool houses Elegant fireplaces, custom fire pits and fire accents Outdoor kitchen centers, sports bar, swim up bars We create your pool design using state of the art 3D modeling software. You’ll be able to see your pool and spa design come to life before your eyes! These dynamic 3D designs allow for a powerful presentation for your future dream backyard which can reflect different scenarios or design choices that you may wish to incorporate into it. Hiring Summerhill Pools for the design of your pool can be one of the most important decisions you can make for backyard project. Our carefully designed plans will lead to a smooth installation and a beautiful backyard oasis for many years to come. A well designed outdoor living area not only enhances the way you look at your home but it can increase the value of your home as well. Tahitian Pools proudly provides award-winning customer service and design. While others in the Dallas-Ft. Worth Metroplex may also specialize in Custom Pools and Spas, Tahitian Pools will continue to care for your paradise long after construction is complete. 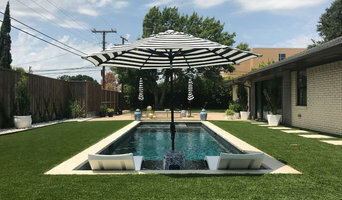 We also stand out for our Unique Features in and around your custom pool. Owner Jim Przelicki has been personally working one-on-one with clients since 1986, and will promise the same first-class treatment for you. Our on-staff architects custom design every pool to reflect the lifestyle of each family and its dreams. Combined with our after-care pool services, we make it even easier to relax and enjoy your new Tahitian Pool. The client always comes first. Our flawless reputation is an important contributor to our success. Jim has been building his reputation as an honest, caring businessman and builder. Jim makes sure that every step taken to construct a pool or spa has his personal stamp of approval. What exactly do Wylie pool builders do? If you are planning for a new pool in Wylie, TX, a swimming pool builder will analyze your outdoor space and your aesthetic wishes to determine an appropriate design for your yard, installing it once the plan is developed and approved. Once installed, some pool companies in Wylie, TX can handle the necessary cleanings, water testing, renovations and equipment replacement or repairs for your pool or spa. If not, many can also suggest Wylie, TX swimming pool contractors or maintenance services to help with upkeep or repairs down the road. Here are some related professionals and vendors to complement the work of swimming pool builders: Garden & Landscape Supplies, Landscape Architects & Landscape Designers, General Contractors, Landscape Contractors, Solar Energy Contractors. Before hiring a swimming pool construction company to create your new Wylie, TX pool, determine how you'll be using it. Will it be for fun or for lap exercise? Will the primary users be children, adults or a mix of the two? Knowing the use can help you find Wylie pool builders who shares your aesthetic. Once you find swimming pool builders in Wylie, TX who share your style, research is critical. Review customer references and comments, collect at least three to four estimates to compare, meet with potential Wylie pool designers and builders in person and ensure that they are Texas certified service professionals and licensed with the registrar of contractors before making any final decisions. In addition, get a sense whether they plan to complete the pool installation and be done with it, or whether they seem interested in building a long-term relationship with you. Be wary of the former: it's likely a reflection on the level of quality of the pool construction they do. 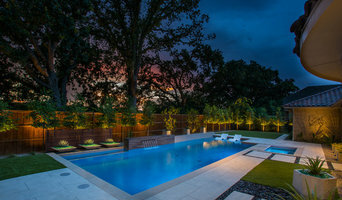 Find a Wylie pool contractor or designer on Houzz. 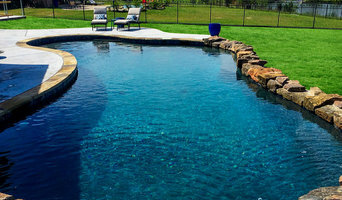 Narrow your search in the Professionals section of the website to pool builders in Wylie, TX. You can also look through Wylie, TX photos by style to find a pool or spa you like, then contact the local pool company who designed it.